As much as we love heating equipment here at Modernize, we also understand that it isn’t usually the most attractive thing in a home. Baseboard heaters, radiators, and central heating registers tend to detract from your home’s overall appeal, rather than add to it. But there is one way to cope with these common household eyesores: heater covers. Radiator and register covers fit around existing equipment and vents to bring a pleasant, decorative look to these spaces. Baseboard heater covers aren’t optional—but they can be painted to match the walls in your home to give your rooms a more polished, smooth look. But if you’re concerned about the energy efficiency of your home heating, you may be wondering whether limiting your heater’s airflow with a cover is really the best idea. After all, anything that impedes the path of heated air can potentially reduce the efficacy of your heating—and leave your home less comfortable, too. On the flip side, though, there’s the issue of safety. When you’re dealing with heating equipment, generally, the rule is to keep the area around it clear in order to prevent fires—particularly with radiators. However, a properly-designed radiator cover can keep you from burning yourself on heated components, and protect draperies and other fire hazards from igniting. So what’s the full 411 on heater covers? Read on to find out! Register and grille covers: In a home with central heating, the furnace or heat pump typically sits in a basement, closet, or attic—somewhere that’s hidden and relatively out of sight. But air supply registers and return grilles are in every room of your home, if your heating system is installed properly, anyway. 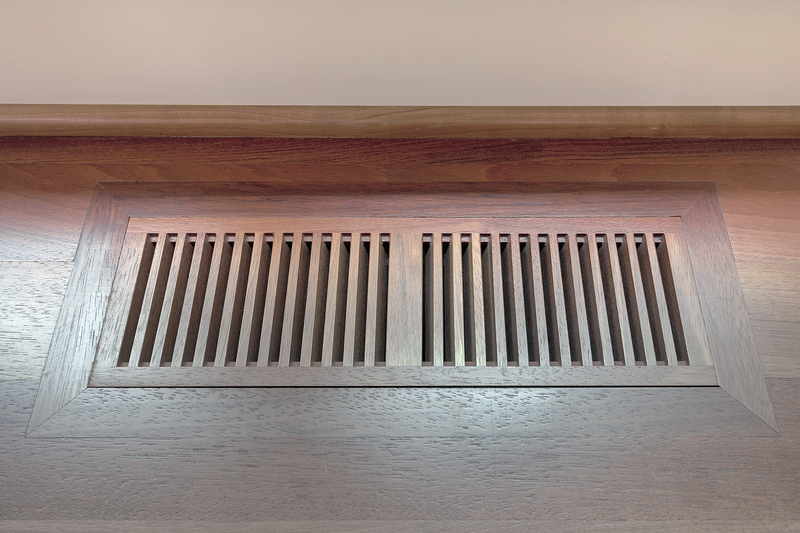 Decorative register covers come in metal and wooden finishes to add a touch of class to these sites in your home—and they come with designed grates to keep air flowing throughout your home. The only thing to watch out for here is that you measure the size of each vent. Vents and registers have different dimensions according to their function and the size of your system. Radiator covers: If you have a radiator in your home connected to a heating system or furnace, covering it may be a slightly more complicated decision. Radiator covers can improve or decrease your furnace’s performance based on how they’re designed. They also play a role in increasing the unit’s safety—a cover over hot heating equipment can protect an inquisitive toddler and keep drapes or furniture away from the unit as well. And many homeowners enjoy using the level space on top of the cover as an additional shelf, or even a spot for a TV or stereo. Best of all, they definitely add polish to your room decor. Baseboard heater covers: Unlike a radiator cover, a baseboard heater cover forms an integral part of the unit. Without this protection, dust, carpeting, and rugs could all potentially enter the heater, causing a fire hazard. Unfortunately, baseboard covers tend to get pretty dinged up over time. Their low-to-the-ground location makes them vulnerable to dents, and since they’re typically made out of metal, they can get rusty over time. But most covers can be replaced fairly easily after first sawing the screws off with a reciprocating saw. The internet is chock-full of do-it-yourself radiator covers, but according to heating experts, many problems with radiators spring up when homeowners hand-make their own covers. 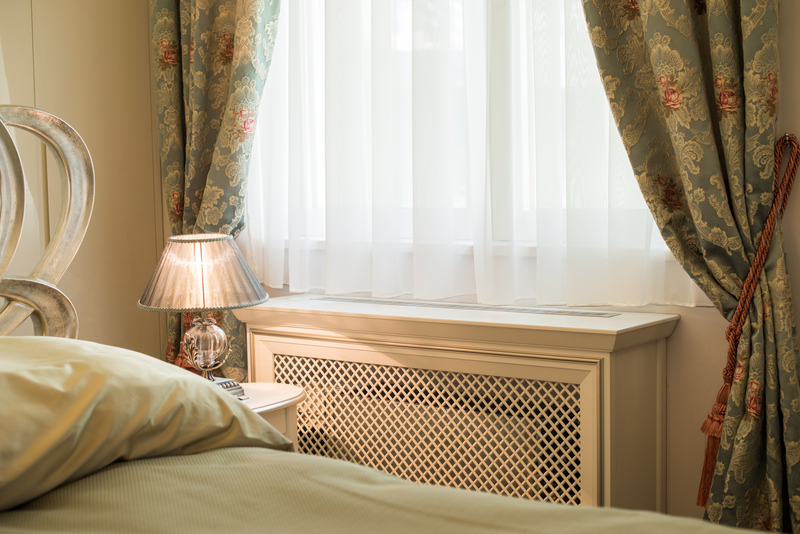 A poorly designed radiator cover can potentially reduce the energy efficiency of your heating. If the heat from the radiator is effectively blocked, your furnace will have to work harder to warm your home. However, a properly designed cover can potentially act as a boost to your home’s heating systems. Perhaps most importantly, an efficient cover includes a reflective backing that projects heat into your home instead of straight into the wall behind it—that makes it perform better than an uncovered unit. If your baseboard heater has become rusted and scratched over years of wear and tear, one of the best ways to refresh it is to give it a new coat of paint. However, don’t just assume you can paint a cover directly with latex paint like you can your walls. Since heater covers are made out of metal, they need to be primed with metal primer first. That will keep the paint in place, and prevent rust from forming in the future. With a decorative heater cover, your HVAC and your decor can finally be friends!